Gentle reader, have you ever wondered what it would look like if you used each Ann Arbor City Council Member's voting record to generate a multidimensional vector? Have you ever wondered how similar or dissimilar these vectors would be? 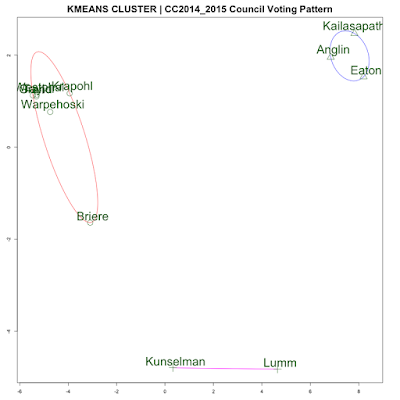 Do you want to know how close the voting vector of each councilperson is in statistical space? If so, look no farther than ArborWiki! Dave Askins has applied three different statistical visualization methods to these very questions. 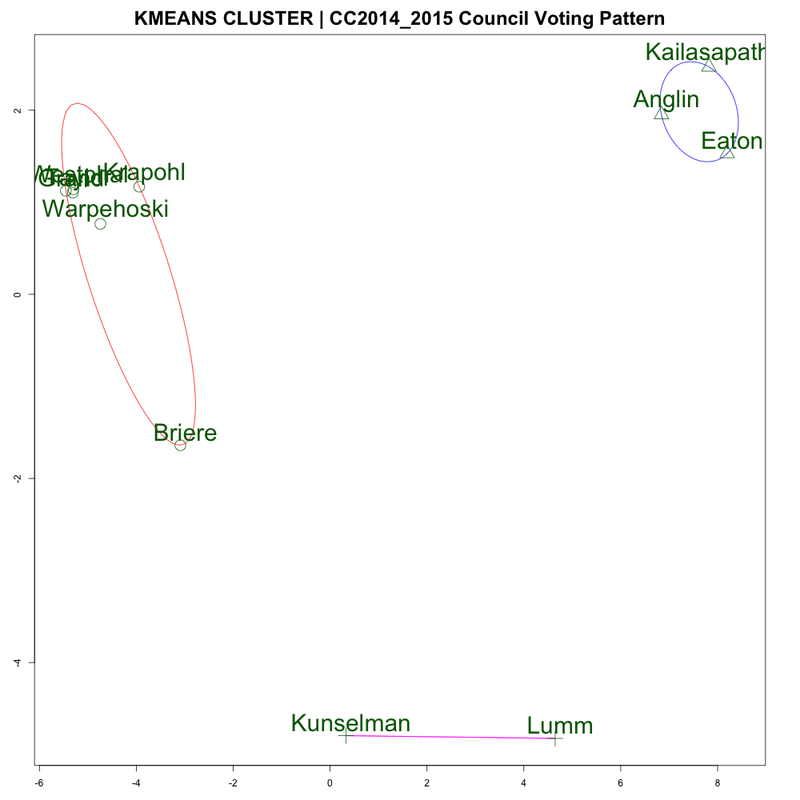 I am particularly found of the 2d Kmeans cluster analyses.